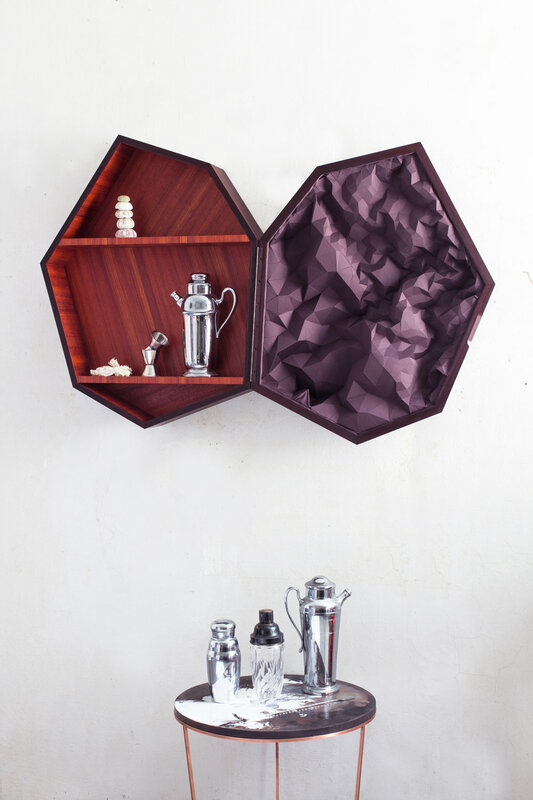 With it's sculptural three-dimensional surface and exceptional shape the "septagon" bar-cabinet resembles a unique wooden crystal, somewhere between furniture and sculpture. The inside of the cabinet is covered with a light-sensitive Padouk veneer, whose luminous red colour will fade out with each opening of the cabinet. 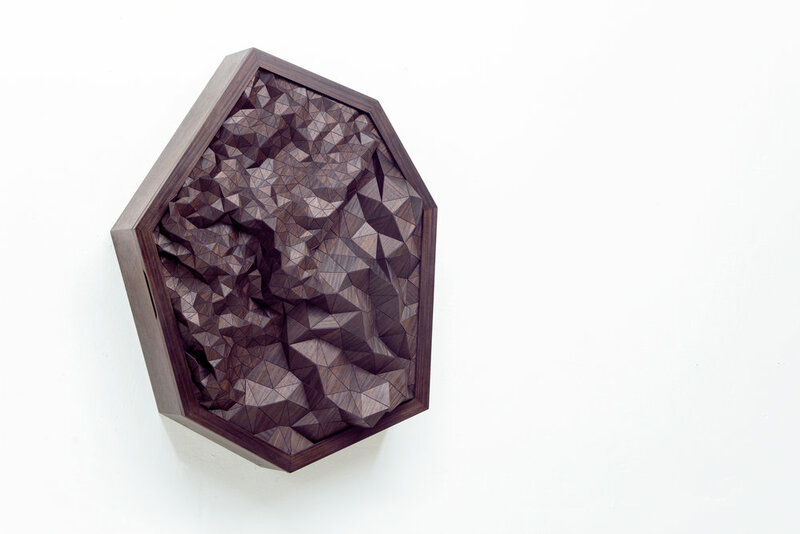 The cabinet is produced as a limited edition of 10 pieces.